PRAYER PETITION LOCKET ROSARY WITH 6MM GLASS PEARL BEADS AND A PEWTER CRUCIFIX AND CENTER. 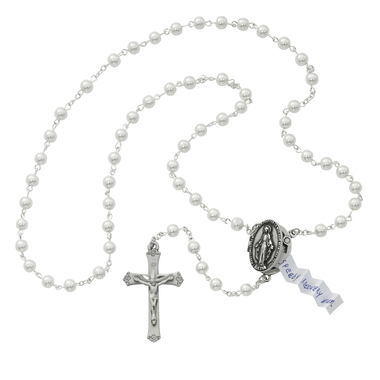 THIS ROSARY HAS A LOCKET CENTER WITH A PIECE OF PAPER TO WRITE YOUR PRAYER PETITION ON. COMES IN A DELUXE GIFT BOX.